What is The Small Business Revolution? Durant Main Street, along with numerous other members of our community, nominated Durant online in October to be considered for the television show. City leaders were contacted by producers and given the opportunity to submit additional information about Durant and its small business community. Top 20 Phase: On November 13, SBR announced the Top 20 Towns selected from over 12,000 nominations, with Durant making the cut! In this phase, the town leaders received a questionnaire and were asked to reach out to community members and small businesses to solicit support for the project. The #MyDurant posts from our community showed amazing support for Durant and 77 small businesses filled out an application of interest! Deluxe Corporation requested a phone interview with the Durant Main Street Director to answer any further questions they had about our small business community. Top 10 Phase: On December 11, SBR announced the Top 10 towns, which once again, included Durant. These towns will receive a visit in January from Amanda Brinkman, the Deluxe team, and a film crew. This is the phase where producers want to see our community rally and get active on social media, sharing all the things we love about our town. Town Tour: Visiting the towns throughout January will help SBR determine the towns in which they think they could make the biggest impact. Amanda Brinkman, the Deluxe team, and a film crew will be in Durant January 15 & 16, coming to meet all of you and learning more about our town and its small businesses, and how we would benefit from a Main Street revitalization. The first evening, Tuesday, January 15, will be a community reception for the team to meet Durant small business owners and citizens. The next day, Wednesday, January 16, Amanda Brinkman and her team will be touring small businesses across Durant between 10 AM – 5 PM. Be ready to greet them and tell them all the things about Durant you love. Feel free to also share what type of improvements our small businesses need in order to thrive and the type of marketing efforts that would aid our Main Street in promoting our town as an appealing destination; just remember to keep your comments constructive and positive. Top 5 Phase: In mid-­‐February, SBR will announce the Top 5 Towns that will be up for a weeklong public vote to determine which town will be featured in Season 4. For the towns that make the cut, this will be an incredibly exciting (and exhausting) week! We must start brainstorming now about ways Durant can encourage voting from our entire community, across the state of Oklahoma, and even nationwide. We will need LOTS of votes to win this competition! People will be allowed to vote once per day, per device during the week of voting. Winner Announcement: SBR will announce the one lucky town that wins the overall public vote at the end of February! That’s when the real work begins for the winning town. Small businesses will be invited to apply to be featured on the show and SBR will select six small businesses to makeover in addition to general Main Street improvements. Filming for the series will occur between March-­‐June 2019. If Durant wins in February, what businesses can apply and who receives the $500,000? Businesses across Durant are encouraged to apply, not just those on Main Street. While the television show has primarily focused on historic downtown shopping districts, some of the businesses they transform are often in a different area of town. We want all small businesses in Durant to have the opportunity to receive a makeover on this show! 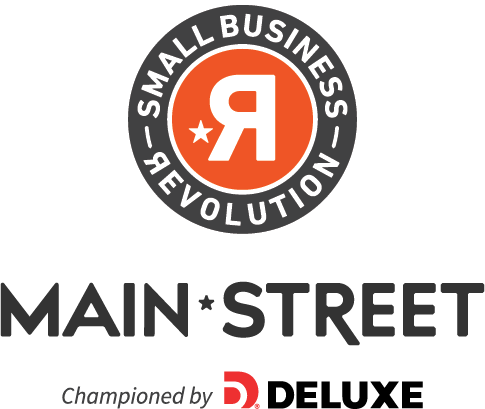 If Durant wins, The Small Business Revolution team will determine which businesses receive a makeover and what type of general improvements (signage, marketing, etc.) that would most benefit our Main Street. Local contractors and laborers will do all construction work. But the makeover isn’t only focused on curb appeal! The makeover is a complete business health analysis to ensure business owners have strong business practices, branding, marketing, and are succeeding financially. The $500,000 will NOT be awarded to the City of Durant, Durant Main Street, or any individual business owner; it is the responsibility of the show to execute the makeover on the budget they have established.